Peggy Guggenheim is a personal hero of mine. A dedicated champion of 20th century artists, she amassed one of the most visionary collections Surrealist and Abstract Expressionist paintings and sculpture of all time. In early 1940, while living in Paris, the very fortunate and affluent "art addict" started acquiring "a picture a day." 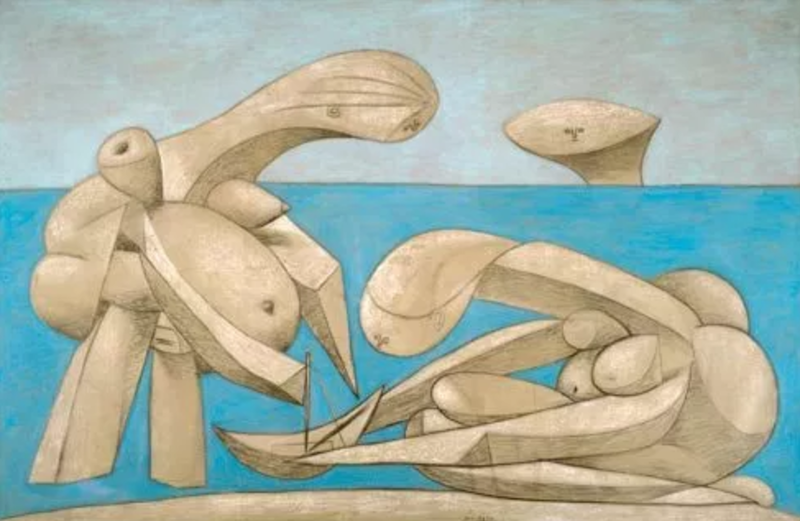 The masterpieces in this early assemblage are by the artists: Pablo Picasso, Georges Braque, Jean Hélion, Salvador Dalí, Piet Mondrian, Francis Picabia, Fernand Léger, Constantin Brâncuși and Max Ernst (who later became her husband.) I try to imagine what it would have been like to visit the studios of each artist. What was the conversation like? Were they friendly immediately or was it very professional at first? What kinds of questions did PG ask? Was she sweet or outrageous? Later, after fleeing the Nazis and resettling in New York, she opened a new gallery called Art of this Century. On opening night, she said, “I wore one of my Tanguy earrings and one made by Calder in order to show my impartiality between Surrealist and Abstract Art." She featured European artists and work by unknown Americans: Robert Motherwell, William Baziotes, Mark Rothko, David Hare, Richard Pousette-Dart, Robert de Niro Sr, Clyfford Still, and Jackson Pollock. Upon returning to Europe, PG showed her personal collection at the 1948 Venice Biennale. It was the first time that many artists such as Jackson Pollock and Mark Rothko were shown in Europe. After falling hard for the mystical city of Venice, she bought Palazzo Venier dei Leoni on the Grand Canal where she lived for the next 30 years. PG and some of the pieces from her beloved collection. Click for more information and origin credit. ^ Alchemy, by Jackson Pollock, 1947 (restored). 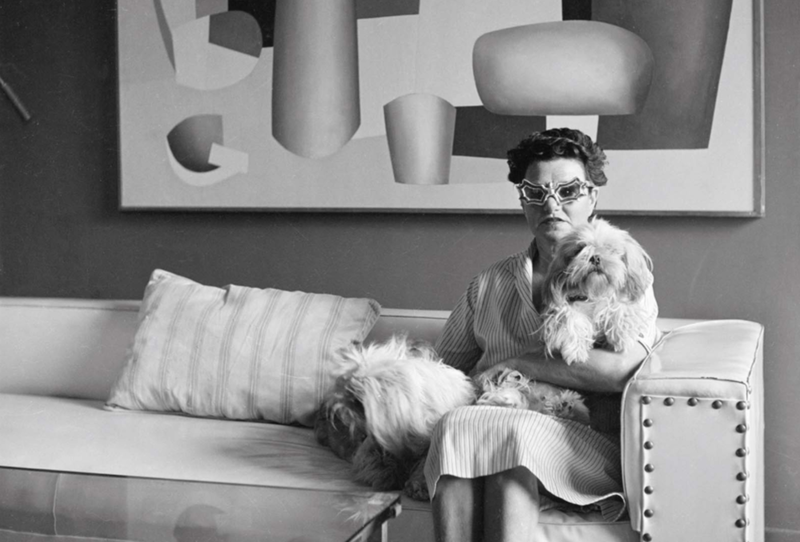 Peggy Guggenheim promoted and sold his paintings around the world. She has said that discovering Pollock was her greatest achievement. Most of the pictures that I've seen of PG are black and white photographs. Even so, I have always cherished her bold and sometimes playful fashion sense. Her taste for avart-garde art, the beautiful and bizarre, was also present in her wardrobe choices. A cellophane dress she wore was designed by the Italian surrealist fashion designer, Elsa Schiaperelli. I wonder what she would be like as a young woman today. What would she wear this summer 2017? How would she paint her eyes? What sandals would she choose?